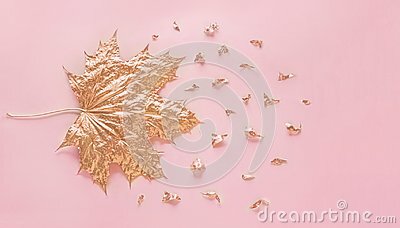 Autumn rose gold maple leaf with elements crumbs on pastel pink paper background. Minimal creative concept with space for text. Top view.